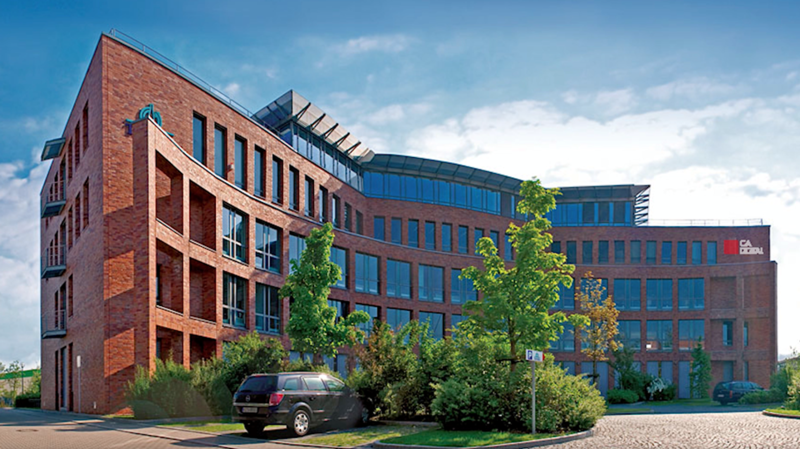 CA DIGITAL is a subsidiary of German-based organisation SCHEU-DENTAL, reputed for their expertise in high-grade dental products in the areas of orthodontics, thermoforming technology and sleep medicine. SCHEU-DENTAL was founded 90 years ago by dentist Dr. Rudolf Scheu. Steeped in tradition, the company continues its success story in the third generation under current CEO Christian Scheu. To cope with the ever-increasing demand for digital treatment solutions, Christian Scheu and Dr. Yong-min Jo founded CA DIGITAL GmbH in 2011. 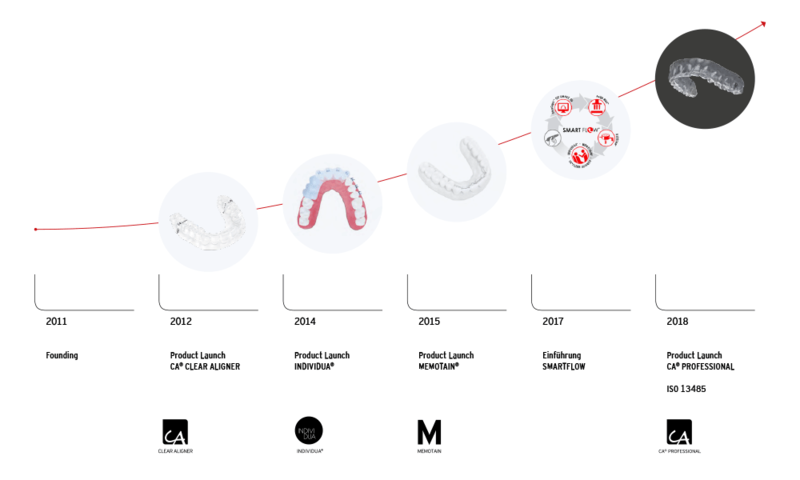 Only 5 years later, CA DIGITAL has already become one of the leading partners on the market for digital orthodontics. A pioneer on the market, CA DIGITAL offers comprehensive digital solutions that allow a wide range of orthodontic applications within an open system. The unique product portfolio – including the CA® CLEAR ALIGNER, the indirect bonding system INDIVIDUA®, the CAD/CAM Nitinol© retainer MEMOTAIN® and all the conventional appliances – covers all treatment categories involving digital products and the CA SMART 3D software allows practitioners to plan and organise every treatment step within an open system. True to its commitment, CA DIGITAL continues to expand its portfolio. In future, CA DIGITAL intends to include, in addition to its innovative treatment methods, conventional orthodontic appliances in its offering. Removable braces can then be fabricated within the digital workflow. Metal appliances can be planned virtually and fabricated by implementing rapid prototyping techniques. A true pioneer, CA DIGITAL will thus be instrumental in integrating all treatment methods into a standardised digital workflow. To ensure the highest standards and top quality for our products and custom-made solutions, we implement a highly sophisticated quality management system that complies with the requirements of the EN ISO 13485:2016 standard. This standard was specifically developed for manufacturers of medical devices and sets forth stringent requirements in terms of product safety, process and quality assurance, documentation and confidentiality of patient information. At CA DIGITAL, we fully comply with these requirements – as recently confirmed and certified by the technical inspection association TÜV Rheinland’s inspection body. We, however, do not intend to rest on the laurels of this certification. After all, the requirements of the EN ISO 13485:2016 standard also specify continuous improvement, and TÜV Rheinland conducts an annual review to ascertain compliance with this specification. CA DIGITAL is therefore a name that stands for quality “Made in Germany” and a name you can trust for absolute reliability – for you and your patients. The future of orthodontics lies in digitisation. Orthodontic treatment methods in future will no longer be based on a plaster impression but rather on 3D STL files. Accordingly, all downstream processes from treatment planning to printing models and fabricating orthodontic appliances will be integrated as part of a digital workflow. We at CA DIGITAL aim to be your partner for digital orthodontic systems – a partner you can trust and rely on for customised and comprehensive solutions and expert support from the initial steps to full digital implementation. A highly experienced team of orthodontists, dental technicians and IT experts is at your side, ready to guide you through the complexity of the numerous digital applications and create value for your business, enhanced efficiency for your practice and a better quality of life for you and your patients. Our vision is to play an important part in helping people across the world to have healthy teeth and wear an attractive smile.